Felipe Salles is a native of Sao Paulo, Brazil, who currently lives and performs in New York City. His group, The Felipe Salles Quintet is the result of this cultural fusion, a blend of elements from two of the richest musical traditions in the world: Brazilian/Latin music and Jazz. Before coming to the United States, Felipe was active in numerous combos and bands as a saxophonist, composer and arranger. He played with such bands as Octeto de Musica Brasileira, Zerro Santos Big Band, Banda Farinha Seca, Zydeco Band, Santa Gafieira, Sampa Crew, Savoy Quartet, and the Axel Fisch Group, and has performed with Brazilian artists such as Daniela Mercury, Paulo Moura and Wagner Tiso. He has also appeared on the same bill as many prominent American artists, including Betty Carter, at Bourbon Street Club, in São Paulo, Brazil. 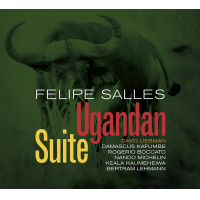 Felipe Salles has been an active musician in the US since 1995, leading his own group, the Felipe Salles Quintet. Performance venues include the extinct Willow Jazz Club and Connolly’s Jazz Club, The Knitting Factory, The Big Easy, Hybernia, Acton Jazz Cafe, Sandrina’s, Ryles Jazz Club, The Middle East, Natick Center for the Arts, The Kennedy Center in Washington D.C., Boston’s Symphony Hall and the Regattabar. As a sideman, Felipe Salles has worked and recorded with various jazz, Latin and Pop groups including Mango Blue, Either/Orchestra, Bellevue Cadillac, La Timba Loca, Mozamba, Bevan Manson, The Daddys, Dead Cat Bounce, Quizamba, Grand Unified Theory, The Touch, Big and Phat Jazz Orchestra, Black Tie Affair Orchestra, Charles Brown Organization and Soul City. Felipe Salles has had the opportunity to work and record with prominent jazz artists like George Russell, Gunther Schuller, Sam Rivers, Herb Pomeroy, Jerry Bergonzi, Tony Lujan, Luciana Souza, Bob Moses and Fernando Brandão. In addition, Felipe Salles has studied with such world-renowned musicians as David Liebman, Jerry Bergonzi, George Garzone, Charlie Banacos and Kenny Werner. 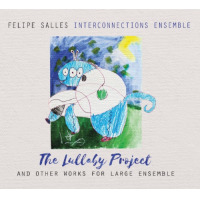 Felipe Salles is a 2005-2006 winner of the Chamber Music America New Works: Creation and Presentation Grant Program, a component of the Doris Duke Jazz Ensembles Project, Sponsored by The Doris Duke Charitable Foundation. He has also been awarded First Place in the Concurso SGAE de Jazz “TETE MONTOLIU”, 2001, with the composition “The Return of The Chromo Sapiens”, and Fifth Place at the III Premio SGAE Iberoamericano de Jazz Latino, with the composition “Freudian Slip”, 2002. He has also been awarded the Boston Jazz Society Scholarship Award for the year of 1997, and was a featured performer at the Boston Jazz Society 22nd annual Jazz Festival in 1998, where he opened for and performed with Stanley Turrentine, as well as an act at the BJS 23rd annual Jazz Festival for the year of 1999, leading his quintet, featuring Bob Moses, John Lockwood, Alain Mallet and Tony D’Aveni. Recently recorded CDs include the acclaimed Latin band Mango Blue’s “Immigrant Blues”, the Avant-Garde/ Free group Grand Unified Theory’s CD of the same name, and Dead Cat Bounce’s (Boston Phoenix’s 2001 and 2002 Best jazz group of the year) two releases, “Legends of the Nar” and “Lucky by Association”, a guest appearance on pianist Nando Michelin’s CD “When Einstein Dreams”, featuring Jerry Bergonzi on tenor sax, Fernando Huergo on bass, and Jeff Ballard on drums; the “Nando Michelin Brazilian Project Live at the Acton Jazz Café” CD featuring internationally acclaimed Brazilian singer Giana (both for the DoubleTime Jazz label), Sherisse Rogers’s Project Uprising CD “Sleight of Hand”, as well as Argentinean singer Katie Viqueira’s new release “Amores Torcidos”. 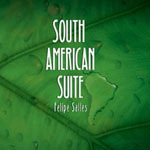 Felipe Salles’ first solo CD, “Further South”, on the Spanish Label Fresh Sound/New Talent has received critical acclaim, and features Bob Moses on drums, John Lockwood on Bass, Alain Mallet piano, and Tony D’Aveni on trumpet. His acclaimed second CD “Mind Motions”, on the same label, features Tony D’Aveni on trumpet, Joel Yennior on Trombone, Nando Michelin on Piano, Bertram Lehmann on Drums and Rick McLaughlin on Bass. Felipe Salles holds a Master of Music Degree in Jazz Studies from New England Conservatory and is the first candidate ever to graduate with a Doctoral Degree in Jazz Advancement from Manhattan School of Music. 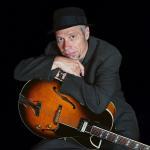 He is currently on faculty at Manhattan School of Music Precollege Jazz Division and Five Towns College. It’s always refreshing to witness the emergence of new and vibrant talent. Such is the case with saxophonist Felipe Salles new cd Further South. Salles contains an approach that is full of creativity and energy. --Mark F. Turner, All About Jazz. Felipe and his fellow band members have a solid jazz album here [Further South] which will appeal to mainstreamers and ‘live jazz’ goers. The set includes all that is great in jazz, masterful playing, good delivery and thoughtful and intelligent arrangements. --Wes Gillespie, The Jazz Site. Felipe Salles represents a new generation of musicians whose (pan-American) approach is expanding on the jazz tradition (ex: Miguel Zenon, David Sanchez, Osmany Paredes, Sebastian Schunke, etc). --Thomas Peña, Latin Jazz Network. What attracts most of all in this recording [Further South] is Salles’ talent as a composer , which offers a wide variety of textures in his arrangements and an ease in his rhythmic treatment. (…) A solid album which predicts a beautiful career. --Luc Delannoy, Jazz Magazine. All About Jazz musician pages are maintained by musicians, publicists and trusted members like you. Interested? Tell us why you would like to improve the Felipe Salles musician page.